The meeting will discuss the draft Manual of the United Nations National Quality Assurance Framework (UN-NQAF) which is being developed by the Expert Group based on decision 48/106 of the United Nations Statistical Commission in March 2017. 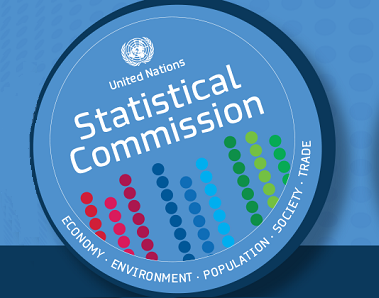 The Commission requested the Expert Group to address implementation issues, among them assuring the quality of SDG indicator data and data from new sources and new data providers. The draft chapters have been developed in virtual meetings and two rounds of formal consultations over the last year. This meeting will review the draft chapters in detail with the aim to resolve remaining issues and to make the draft Manual ready for the worldwide consultation among all countries before its finalization and submission to the 50th session of the Statistical Commission in March 2019. The United Nations Statistics Division (UNSD) is organizing a meeting of the Expert Group on National Quality Assurance Frameworks (NQAF) in New York from 28-30 September 2011. The main objective of the meeting is to discuss and agree on the template for a generic National Quality Assurance Framework and guidelines (including common terminology and mapping to existing frameworks). The resulting recommendations and decisions coming out of the meeting will form the basis for the report to be presented to the 2012 Statistical Commission on the conclusion of the work of the Expert Group. The Conference on Data Quality for International Organizations will be held immediately after the Q2010 European Conference on Quality in Official Statistics (Helsinki, 4-6 May 2010) under the auspices of the Committee for the Coordination of Statistical Activities (CCSA). Eurostat and UNSD are organizing this fourth CCSA conference dedicated entirely to quality issues, which will be hosted by Statistics Finland. The purpose of the conference is to provide statistical experts from international or supra-national organizations with a forum to discuss specific data quality issues related to their work and exchange experiences regarding the various quality mechanisms developed for improving the collection and dissemination of data. The main focus of this year’s conference will be on how international support for the development of national quality assurance frameworks can be provided, therefore, the discussions will also reflect upon the programme review on National Quality Assurance Frameworks carried out by Statistics Canada for the forty-first session of the Statistical Commission (see document E/CN.3/2010/2 from http://unstats.un.org/unsd/statcom/sc2010.htm; see alsohttp://unstats.un.org/unsd/dnss/nqaf.aspx). The Conference on Data Quality for International Organizations will be held immediately prior to the Q2008 - European Conference on Quality in Official Statistics (Rome, 9-11 July 2008) under the auspices of the Committee for the Coordination of Statistical Activities (CCSA). The purpose of the conference is to provide statistical experts from international or supra-national organisations with a forum to discuss specific data quality issues related to their work and exchange experiences regarding the various quality mechanisms developed for improving the collection and dissemination of international data. It is proposed that the discussions at this year's meeting will build on the extensive work in the field of data quality assessment that has recently been undertaken by CCSA under the leadership of Eurostat, and which has led to the preparation of guidelines for the Implementation of Quality Assurance Frameworks for International Organizations Compiling Statistics (refer also to SA/2007/14/Add.4). This year's conference offers therefore a unique opportunity to discuss how these guidelines, or specific elements thereof, can be applied in international agencies.